The Nikon 1 Advanced Camera with Interchangeable Lens System is a newly engineered imaging system that has been built by Nikon from the ground up. 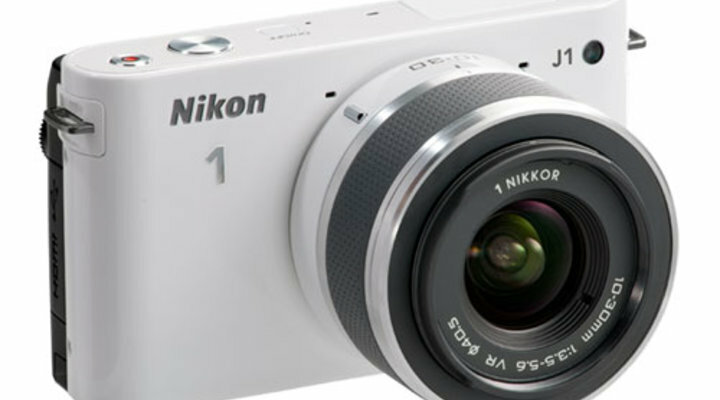 The Nikon 1 digital cameras utilize the Nikon CX-format super high speed AF CMOS imaging sensor and high performance 1 NIKKOR interchangeable lenses. The effective angle of view of the Nikon 1 cameras is 2.7x focal length. The Nikon 1 System utilizes lenses designed specifically for the CX format imaging sensor. The Nikon 1 interchangeable lens system has been designed to yield incredible photos and movies yet remain compact and portable. Upon launch, two camera bodies were initially announced—the J1 and V1. The V1 and subsequent V2 models can accept an optional accessory Nikon 1 Speedlight (Nikon 1 SB-N5 and SB-N7). Nikon Speedlights that are compatible with Nikon’s line of D-SLR cameras can not be used with the Nikon 1 system. Certain NIKKOR lenses however will be usable on the Nikon 1 cameras with the optional FT-1 F-Mount adapter. The GP-N100 GPS unit is an optional accessory also compatible with the V1 and V2 camera models. The Nikon 1 V2, J3 and S1 cameras are also compatible with the WU-1b Wireless Mobile Adapter, which when used with Nikon's Wireless Mobile Utility app loaded onto a compatible smartphone or tablet, lets you remotely shoot and download images from your phone/tablet. The Nikon 1 System cameras are among Nikon’s fastest autofocusing digital cameras; and offer some of the most unique features of any digital camera. Some of these features include: the ability to shoot still and video simultaneously, the Motion Snapshot and Smart Photo Selector mode which utilize the camera’s buffer to record image data even before you fully press the shutter button, so you can capture that “decisive moment” and much more—all in a compact form factor that will have you taking the camera with you everywhere you go. Certain models of Nikon 1 cameras incorporate Slow View, which lets you see live action in slow motion so you can capture the action exactly as you wish. The Nikon 1 J1, J2, J3 and S1 digital cameras comes in a variety of great colors, so your camera can be as much a fashion statement as you’d like, while you capture great photographs, Motion Snapshots and HD videos. Revolutionary camera system designed for today’s picture taker.